Woman reversible slim-fit jacket with hood. Closing on the center by a visible reversible zipper. Piping on the bottom with a reflective effect. Two welt pockets on the sides. Thank you for the submitting! We'll notify you when the product is back in stock. Oops..! Something went wrong. Please try again later. Triboo Digitale S.r.l. . with registered office in Viale Sarca 336, Edificio 10, 25124 Milan, VAT no. / Tax Code and Milan Business Register Enrolment No. IT02387250307 (hereinafter also “Triboo” and “NYKY srl”) with registered office in Via Delle Industrie 7, 31057 Silea, Treviso, VWT no, / Tax Code and Treviso Business Register enrolment no. 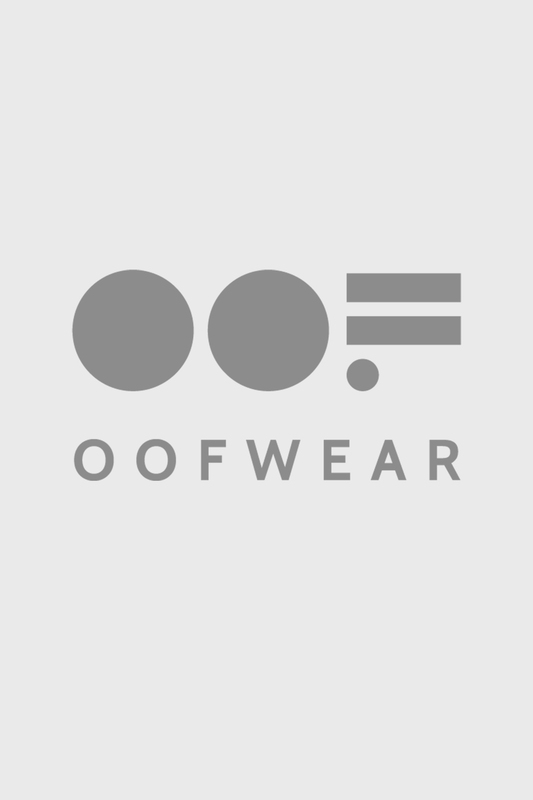 04238650263 hereinafter also the Partner and, together with Triboo the “Data Controllers”), in their capacity as joint Data Controllers of the processing of the personal data of users, (hereinafter the “Users”) who browse and exploit the services available on the www.oofwear.com internet website (hereinafter the “Website” and the “Services”) hereby provide the Information Notice under art. 13 of Regulation (EU) 679/2016 of 27 April 2016 (hereinafter, “Regulation”, or also the Data Protection Law”). This Website and Services are reserved to individuals who are eighteen years of age and over. The Data Controllers do not collect personal data relating to persons under 18 years of age. At the request of the Users, the Data Controllers shall promptly erase all personal data involuntarily collected and related to persons under 18 years of age. a) contractual obligations and provision of the Services, to allow browsing of the Website or to implement the Conditions of Use of the Website, which are duly accepted by the User during the Website registration process and/or during the use of the Services and to fulfil specific User requests. The User data collected by Triboo for the aforementioned purposes include: their name, surname, email address, tax code and any personal information of the User that may be voluntarily published. Unless the User grants Triboo specific and optional consent to the processing of his/her data for further purposes, the User's personal data shall be used by Triboo for the sole purpose of ascertaining the identity of the User (also by validation of the email address), hence avoiding possible scams or abusive conduct, and for contacting the User for service reasons only (e.g. sending notifications concerning the Services). Notwithstanding the provisions elsewhere in this privacy notice, under no circumstances shall Triboo allow access to the personal data of the Users by other Users and/or third parties. The provision of personal data for the purposes of processing indicated above is optional but necessary, as failure to provide them will make it impossible for the User to browse the Website, register with the Website and use its Services. The personal data that are necessary to pursue the processing purposes described in paragraph 1 herein are indicated with an asterisk on the Website registration form. With the free and optional consent of the User, certain personal data of the User (i.e. name, surname, address, email address, date and month of birth) may be processed by the Partner for the purpose of sending newsletters. Therefore, the User will receive a periodic newsletter from the Partner that will contain information in relation to news and promotions on the Website and / or initiatives organised by the Partner. In case of consent, the User may at any time withdraw the same, submitting a request to the Partner as indicated in paragraph 5 below. The User can also easily object to receiving further promotional material by clicking on the withdrawal of consent link, which is provided in each email containing the newsletter. After withdrawing consent, the User shall receive an email from the Partner confirming the withdrawal of consent. The personal data of the Users shall be retained for the time strictly necessary to carry out the primary purposes described in paragraph 1 above, or however as necessary for the protection in civil law of the interests of both the Users and Triboo. In the cases referred to in paragraph 2 above, the personal data of Users shall be retained for the time strictly necessary to carry out the purposes described therein and, in any case, for no more than twenty-four (24) months. The personal data of the Users may be disclosed to the employees and / or collaborators of the Data Controllers in charge of managing the Website and all aspects of the delivery of Services. Such subjects, who have been duly informed by the Data Controllers under art. 29 of the Regulation, will process the User's data exclusively for the purposes indicated in this privacy notice and in compliance with the provisions of the Data Protection Law. The personal data of Users may also be disclosed to third parties who may process personal data on behalf of the Data Controllers as "External Data Processors", such as, for example, IT and logistic service providers functional to the operations of the Website and/or the Services, outsourcing or cloud computing service providers, professionals and consultants. Users have the right to obtain a list of any data processors appointed respectively by each Data Controller, submitting a request to the relative Data Controller as indicated in paragraph 5 below. Furthermore, the personal data of the Users may be disclosed by Triboo, to the extent where the same is necessary and essential in order to execute the contractual obligations, to third parties who are independent data controllers, such as providers of payment services and logistics services necessary for delivery of the goods sold through the Website. These autonomous Data Controllers shall process the User's data exclusively for the purpose of fulfilling the processing of the orders relating to the Services in a correct manner. By sending a fax to no. Triboo shall proceed to comply with the requests of Users relating to the processing referred to in paragraph 1, while the Partner shall proceed to comply with the requests of Users relating to the processing referred to in paragraph 2. In accordance with the Data Protection Law, the Data Controller hereby declares that Users are entitled to obtain information (i) on the origin of the personal data; (ii) the purpose and processing methods; (iii) the logic used in the case where the data is processed using electronic equipment; (iv) the personal data of the Data Controller and data processors; (v) the persons in charge and the subjects or categories of subjects to whom the personal data may be disclosed or who may become aware of such data. d) if they believe that the processing that concerns them violates the Regulation, the right to lodge a complaint with a Supervisory Authority (in the Member State in which they usually reside, in the one in which they work or in the one in which the alleged violation has occurred). The Italian Supervisory Authority is the Data Protection Supervisor, with headquarters in Piazza di Monte Citorio no.121, 00186 - Rome (http:www.garanteprivacy.it/). The user expressly accepts the terms of 's Privacy Information Notice and consents to receive our emails about news, events, collection previews and exclusive promotions. The user expressly accepts that the personal data provided will be processed for the purposes of promotional or commercial communications relating to products or services offered. This website uses third party profiling cookies to send you advertising and services in line with your preferences and to improve your shopping experience. For more information or to deny consent to all or some of the cookies click here. By closing this banner or clicking on any element thereof, you provide your consent to the use of the cookies. Find out more here.